Why eat your vitamins when you can now shoot them up? A new fad among expensive health clinics is to deliver vitamins intravenously, but does this help or harm health? Now appearing in a tabloid near you, reports of the latest fad – infusion of intravenous vitamins, which, exactly as described, is vitamins applied through an intravenous drip. Sounds a little extreme considering these are chemicals we used to get through crunching a carrot or sucking on an orange. But celebrities, the rich and the famous are arriving at clinics to sit (sometimes for hours at a time) and have high doses of vitamins delivered straight into their veins. And rich is the operative word since these sessions can be in the US$1,000 range. This seems like a large fee for chemicals that are cheap to purchase, even in the sterile form necessary for intravenous delivery. Now the notion has reached Australian shores and is being offered in clinics in Sydney. But is it a good idea? My first thoughts are no. Claims of the use of mega-doses of vitamins, once touted as the cure for cancer and the common cold, seem not to have turned out to be true. Some reports even suggest they cause long-term harm. Certainly, high doses of the lipid soluble vitamins, such as vitamin A and vitamin D, are very inadvisable for the normal individual. These are not easily excreted and they build up in the body to have toxic effects. Expect headaches, nervous system problems and nausea for vitamin A. While for vitamin D, problems result from excess calcium in the blood and include nausea, muscular weakness, pain and kidney problems. In the 1980s, intravenous application of vitamin E in premature babies led to the death of 38 infants in the United States. I should add that the preparation being used had not been approved by the US medicines regulator, the Food and Drug Administration (FDA). Needless to say, similar mistakes with synthetic drugs have no doubt led to many deaths but I mention this case to underline that just because vitamins are “natural”, it doesn’t mean they are safe at any dose. Certainly, intravenous application can add further problems. Injecting any substance into the body creates an inherently greater risk than the route we have evolved to take in vitamins, as part of our diet. This is especially the case if vitamins are self-administered, though even with a trained professional mistakes can occur. But there are some people for whom vitamin supplementation will be beneficial. These include people deficient in vitamins due to a genetic predisposition that prevents proper absorption from their diet. For them, vitamin supplements are essential for a normal life. For dire need, intravenous supply will provide vitamins more rapidly and at a higher direct level to tissues and organs when compared to vitamin tablets. It may be no revelation that vitamins are beneficial for vitamin deficiency disease, but the recent surprise is that new results suggest intravenous vitamins, specifically vitamin C, may be beneficial for other disorders. Its action as an antioxidant, removing reactive oxygen species that otherwise cause havoc in cells, may be effective when carefully used at the right dose. It has been reported that a high-dose intravenous vitamin C treatment in combination with steroids is beneficial for treating certain types of hearing loss. 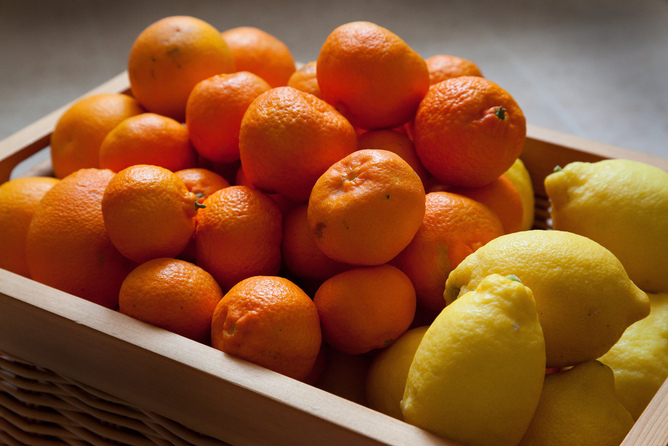 There is growing evidence that vitamin C can protect against sepsis (the inflammatory condition that results from severe infection) by acting through various mechanisms to prevent oxidative stress. Perhaps the biggest shock is a study that supports one of the reasons that celebrities are lining up for their hit of intravenous vitamins – the claim that they help reduce fatigue. A single moderate-sized study of office workers (certainly a highly stressed bunch of people) found that intravenous vitamin C led to at least a short term (one-day) reduction in the subjective feeling of fatigue. There is always the concern of a placebo effect but this was a double-blind randomised controlled study compared to a saline drip which should remove such a possibility. Such is the peculiarity of the world that intravenous vitamins, a technique that can be used to milk celebrities of their excess money, may also be a technique that provides a treatment for some diseases. Of course, all this has to be treated with caution. Vitamin C is no panacea and does not appear to be effective for cancer treatment as is sometimes claimed. Indeed, it may block the action of certain drugs used to treat cancer. It will require a fair bit of rigorous research to tell us the difference between fact and fad, but there are hints that there is some benefit for this treatment.